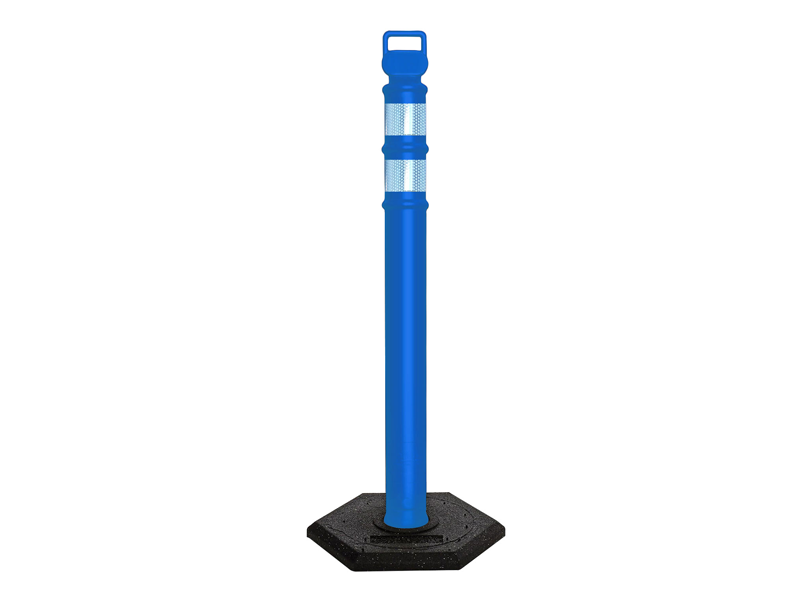 The EZ Grab Delineator Post is made from 100 % impact resistant polyethelene material. Its EZ grab handle provides portability and ease of movement. 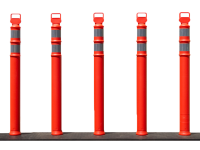 UV inhibitors resist fading. 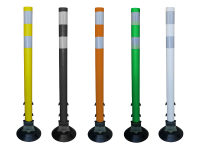 Each post comes with two 3″ or 4″ high intensity reflective bands. Bands are recessed inside post for protection. The base is made of 100% recycled rubber and is extremely durable. Post is NCHRP-350 Certified and stands 45″ tall. 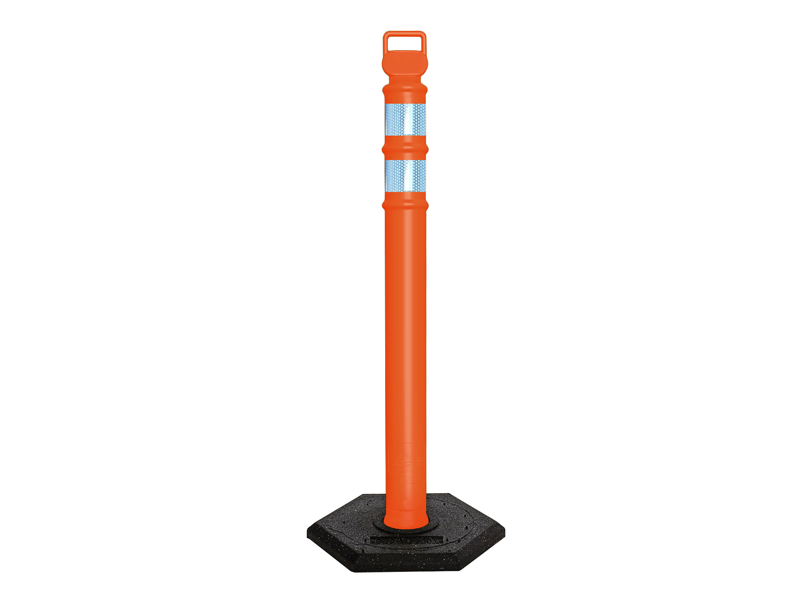 Optional oval reflex reflector or strobes add extra measure of safety and visibility. 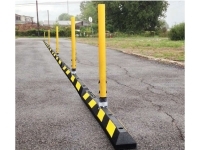 Colored posts are able to be customized. 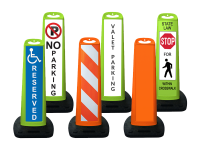 Available in Orange, Blue, Green, Yellow, Lime, White, and red.